I love an eyeshadow palette! 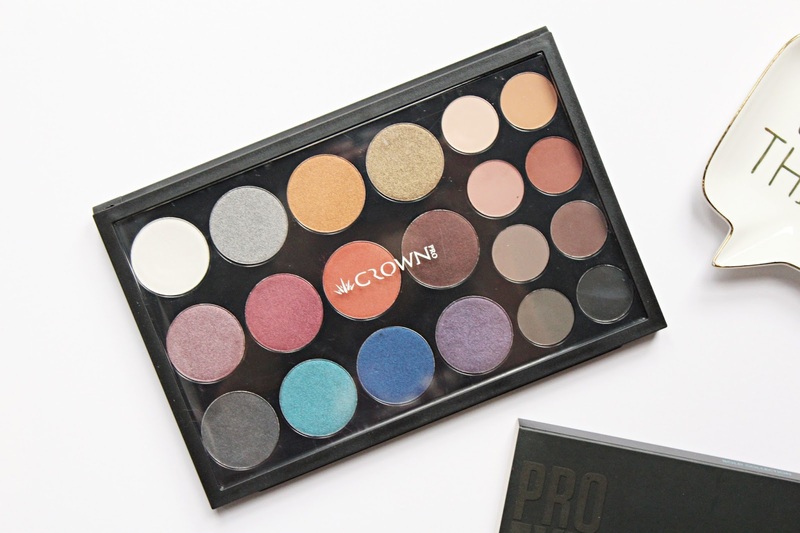 I tried a Crown Brush palette a few months ago now and I really love using it so when the Pro Eyeshadow Bold Collection Palette arrived, I was really excited to try it out. I haven't seen anyone talk about this online and I have no idea why because it is amazing! 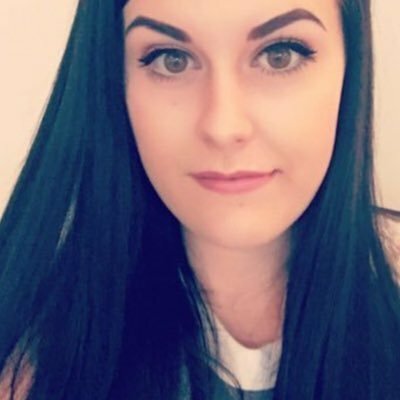 I wasn't expecting it to be as good as it is and it's great value for money too. The Pro Eyeshadow Bold Collection comes with 20 eyeshadows in shimmer/foiled finishes as well as matte finishes. This palette is different from anything I have in my collection as the shimmer/foiled shadows have larger pans an are separated from the smaller, matte shades. This palette is packed mainly with warmer tones but there are a few cooler tones perfect for a smokey eye. I really like the packaging of this palette, it is on the bigger side so it isn't travel-friendly for my makeup bag but it is very sleek so it doesn't take up too much space in my makeup drawers. I love the fact that it has a clear lid so you can easily see the shades inside, this is great if you have a few similar looking palettes. As I mentioned, I have tried Crown Brush eyeshadows before and I was quite impressed with them then and I was shocked at how incredibly pigmented this palette is! The 12 spotlight shades in this palette have the shimmer and foiled finishes and each of these shadows have a diameter of 1.5 inches. I like that these pans are bigger as I like to use a flat brush to pack on the colour to the lid and I find that it is much easier to get the shadows onto a brush with this pan size. 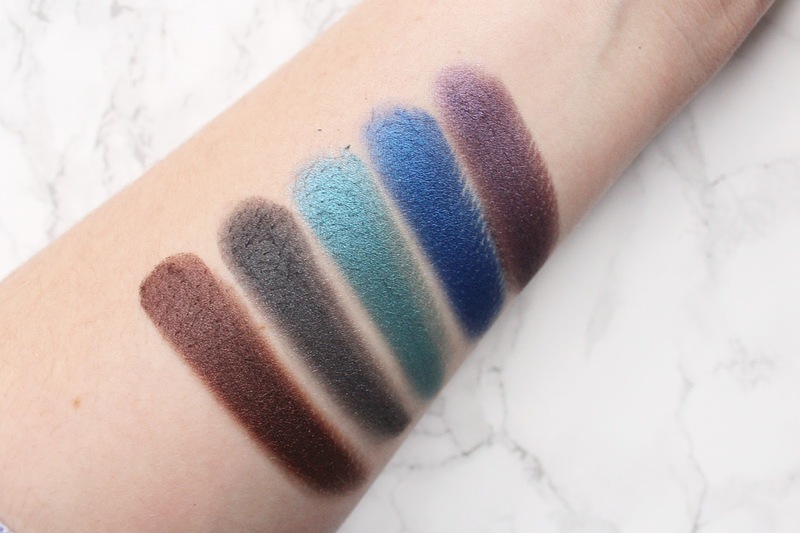 These 12 shadows can be used wet or dry depending on the look you are going for but I am yet to find a reason to apply them wet as they are already insanely pigmented. I have found these shadows to be so creamy to the touch and they feel and apply like high-end shadows would. These shadows have better pigmentation than some of my palettes which cost me double the price and you get so many more shades for your money with this. The shade range is really what caught my attention as you can create so many different looks with this. To go with the 12 shimmer/foiled shadows are eight complementing matte shades perfect for the crease and as a brow bone highlight. 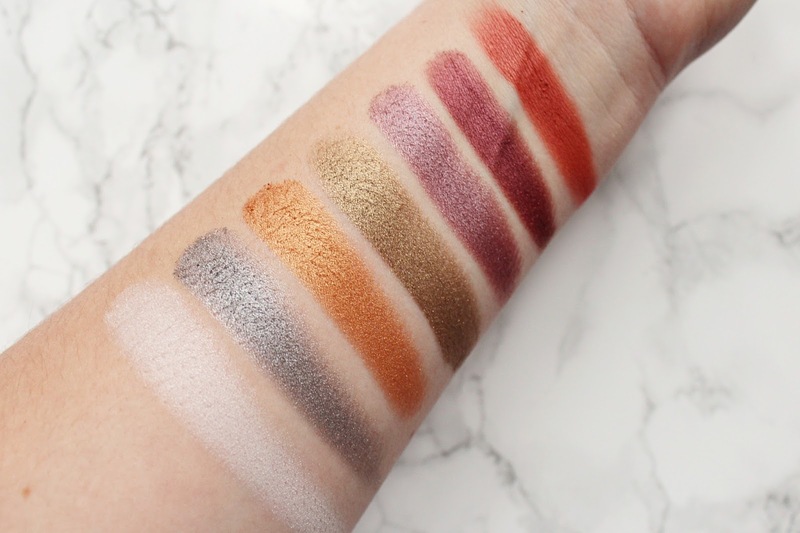 Just like the shimmer shades, you get a mixture of warmer and cool toned shadows and I was really surprised with how these swatched. 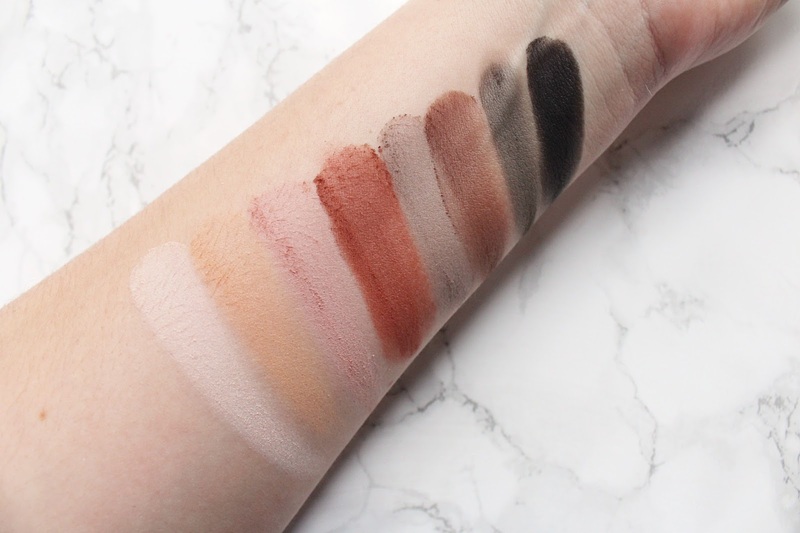 I have always found that matte shades can be a little more difficult to get right in palettes with them not being as pigmented as metallic shades or they just feel a little bit dry. These matte shades have really great pigmentation when swatching and applying with a brush on the eyes. They are extremely smooth too. One thing I noticed with all of these eyeshadows is that there isn't a tonne of kick back in the pans or fall out which I was really happy with. After playing around with swatching the shades, I couldn't wait to get them on my eyes and I have been using this palette so much since I got my hands on it! Every single shade in this palette is so easy to apply and blend, they never look patchy (with or without eyeshadow primer) and I don't find them to crease or fade at all throughout the day. I am usually a warm eyeshadow look kind of girl through and through but I have found myself using the cooler tones a lot more than I thought I would! I just love the range of looks you can create with this palette and you can create so many complete looks with it. 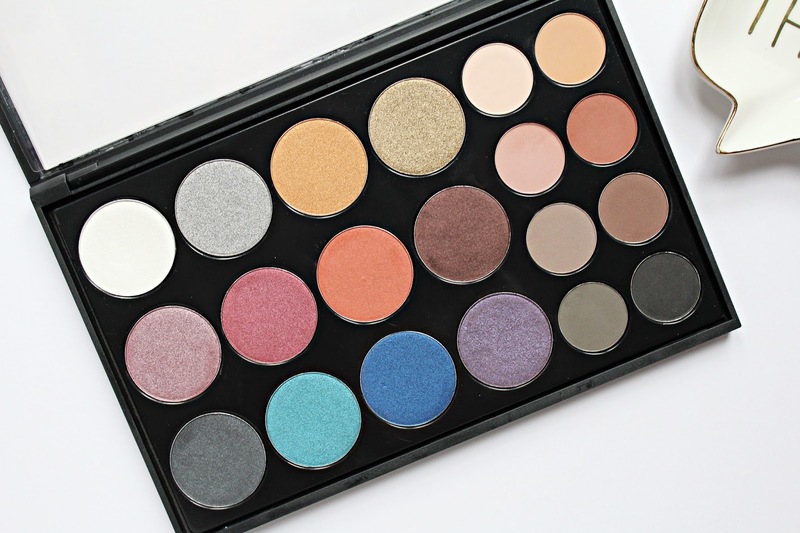 The Crown Brush Pro Eyeshadow Bold Collection Palette retails for £24.99 - HERE.